Can Tim Cahill make an impact for Jamshedpur FC? Tim Cahill, the Socceroos' all-time top scorer, is the new Jamshedpur FC striker in the new season of the Indian Super League which will start on this September. Jamshedpur FC will take on Mumbai City in their first ISL match at the Mumbai Football Arena on October 2, 2018. The former Everton Player has signed a one year contract with Jamshedpur FC which brings the much-experienced player to play for the newly founded club in the ISL. The Socceroos', will call his retirement from International duty when he will play the last match against Lebanon on 20th November in his hometown Sydney. He is the second most capped Australian players to play for the national sides with 107 caps. Despite being only the Australian player to feature in every world cup from 2006, his fourth world cup game came in the last group match in Sochi where the Socceroos' lost by 2-0 to Chile. Tim Cahill, who is known for his striking ability and his heading power has helped clubs such as Everton, Millwall and New York Bulls who reportedly signed him for £1 million. Then in 2015, he moved to China to play for Shanghai Greenland Shenhua where he appeared in 28 games and scored 11 goals. On 29 January 2018, he went back to Millwall where he started his professional career about twenty years back but couldn't score a single goal in his last ten matches. Millwall released him at the end of the season. The former Everton players had a rough last season, which should worry the Spanish coach, César Ferrando Jiménez a bit. Cahill, who is an experienced player with every level of the game can, however, be a guide and mentor for the new team. In the press release from Jamshedpur FC, the striker said that he is eager to play for the new team and to help the game grow and develop in India, and encourage kids to play football. Jamshedpur FC is having their preseason camp in Spain, where they have two wins, a draw, and two losses. He has already helped the local talent players such as Gaurav, Vishal which shows that the biggest signing can really change the game for Jamshedpur FC. Jamshedpur FC which finished fifth in the last edition of the league will be looking for the experience and leadership of Cahill who is the club biggest signing this year. Jamshedpur Spanish coach, César Ferrando Jiménez also has the service of three players from his land namely Mario, Pablo and Tiri. Emerson Gomes is another international player who played for the side. 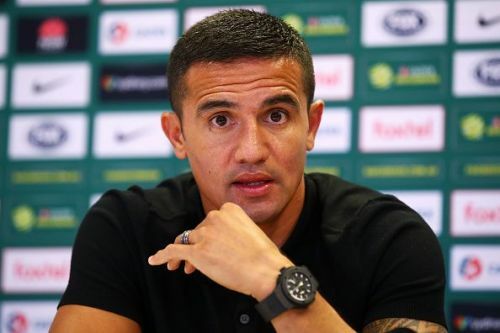 Cahill, who is the head of the Foxtel Tim Cahill Academy in Australia will likely take an opportunity to develop new talent for the Socceroos after ending his career in India. He might be a professional Coach after completing his UEFA 'B' license in Wales. Thus we can clearly say that Tim Cahill can not only have an impact on Jamshedpur FC but in the league as well, as he can help the raw talent players to reach to the next level, and to develop the League into a top football league in the world.